May your days be filled with magic, love, and laughter! Have a super sweet & merry Christmas, my friend ! Enjoy each & every second with your loved ones ! oxoxo lots of love ! Have a wonderful holiday! And thanks so much for all your inspiration. All the best to you for the new year. Yours too......Merry Christmas and thank you for sharing all of your wonderful ideas!! Merry Christmas! Enjoy the day! and to you as well...holidays dreams to you and yours! 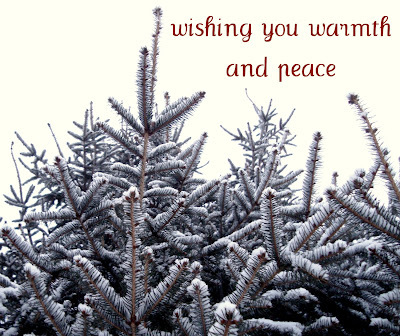 Happy and safe holidays to you - thank you for your kind words and encouragement throughout the year. Merry christmas and i hope it was bright and merry for you! Love to yoU!